The Baytems S5400 is a broadband amplifier with 40 dB of gain covering the nominal frequency range 9 kHz to 1 GHz. 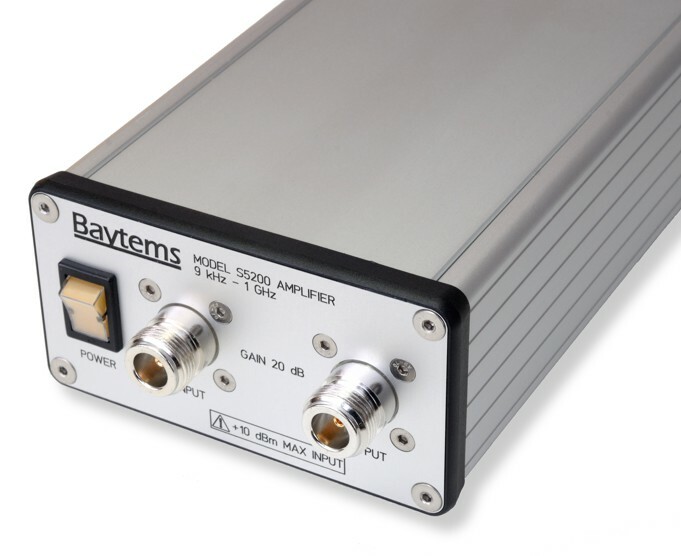 With its high gain and low noise figure, it will significantly increase the sensitivity of spectrum analyzers and other RF measuring instruments. 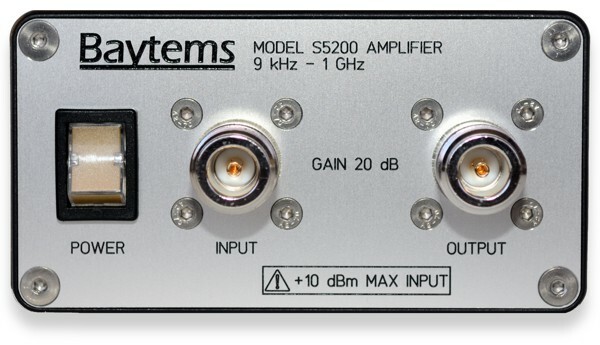 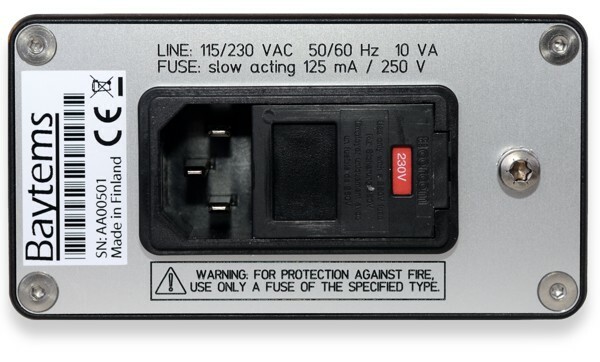 The model S5400 uses a proprietary Baytems amplifier module that features low noise, low distortion, flat frequency response, long term stability, and reliability. 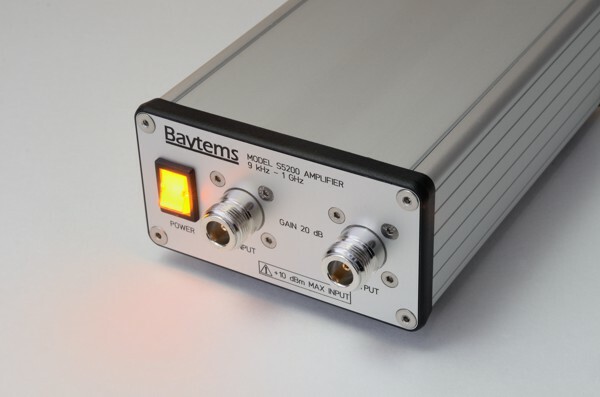 These qualities make the instrument especially suitable for laboratory use.